With her long experience in teaching Tantra and Holistic Health and being a co-director of a School of Personal Development, Sarita has a wide range of skills to offer as a consultant. Sarita has spent 26 years living and working in an international community, and 12 years as a director of her own personal development business. 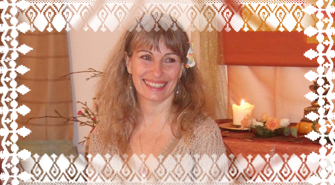 She has worked in Public Relations for 7 years, and has taught Tantra and Holistic Healing for 21 years. Her wealth of experience in teaching personal transformation to individuals and groups brings a multidimensional talent to her consultancy. She serves as consultant in Tantra festivals held throughout Europe and is also involved in being an advisor for personal development venues, and a Tantra film production. Contact her business manager for further information.